Trefoil knot, illustration. 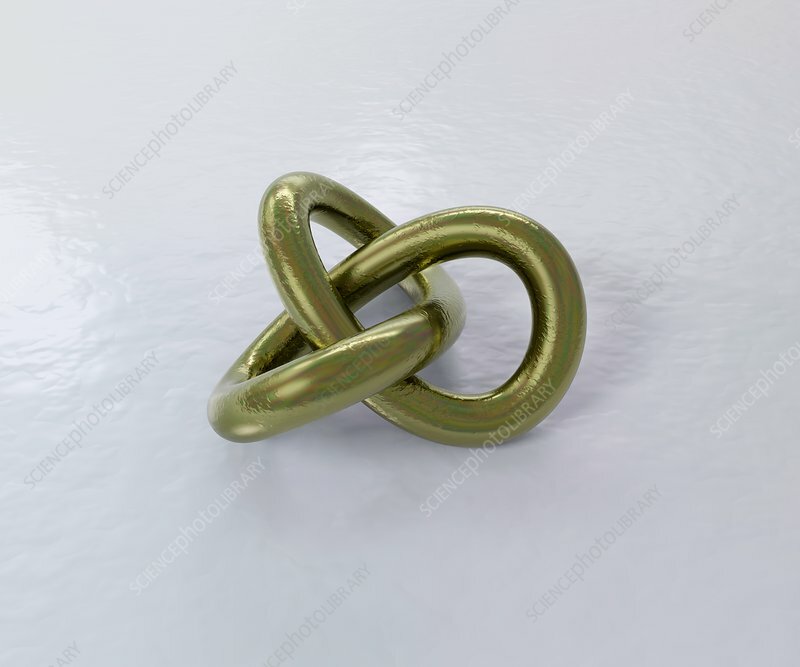 A mathematical knot, such as a trefoil, is defined as a closed curve that is embedded in three dimensions and cannot be untangled to produce a simple loop. A trefoil is the simplest example of a nontrivial knot (cannot be undone without cutting or breaking). As with all torus knots it is chiral, meaning that it is not equivalent to its mirror image. Knot theory now has applications in several sciences including quantum theory and the study of DNA packing. The shape also has historic symbolic and religious significance.